"I am ready to provide a wonderful experience for your guests!" Click here for testimonials about Michael Wehrli and his workshops. Break the ice, laugh, make friends, and get to know your fellow guests! 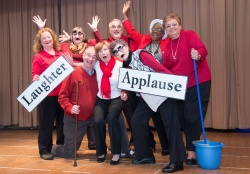 Come and join the fun playing group theater & acting games in a safe and supportive environment. Celebrate everyone’s natural playfulness & creativity as we open the door to new friendships. This innovative community fostering activity was developed by Michael Wehrli. Tap into your creative side, laugh, and enjoy playing these hilarious party games. Get to know your fellow guests and have fun with easy to learn games designed to bring the group together, have fun, and share laughter and community. A supportive and nurturing environment is provided in which to explore, play, and create. A great way to meet new friends. Have a blast making it up as you go along! These group improvisation games get everyone involved without the pressure of an audience. Guests will be provided with a supportive and nurturing environment in which to explore, play, and create. No experience necessary! A great way to meet new friends. Laugh and share your voice as you play a part in one of the all time classic radio programs Jack Benny, Burns & Allen, Fibber McGee & Molly, and many more scripts are available. Those who wish can work towards presenting one of the programs for their fellow guests! No lines to memorize since everyone will be holding their scripts. Everyone’s creativity will be celebrated as we have a ball with these classic comedy radio shows. This fun and often hilarious game activity gives passengers the opportunity to share their creative side by trying to fool fellow players. Passengers will make up definitions to obscure words, give a few sentences describing an unknown movie, write about a person no one has ever heard of but has some strange claim to fame, and so much more! No formal writing skills required! Just a willingness to play, have fun, and make up answers. Have fun, make friends, and enjoy your natural creativity in a safe & supportive environment as we share a staged reading of of a well known story. 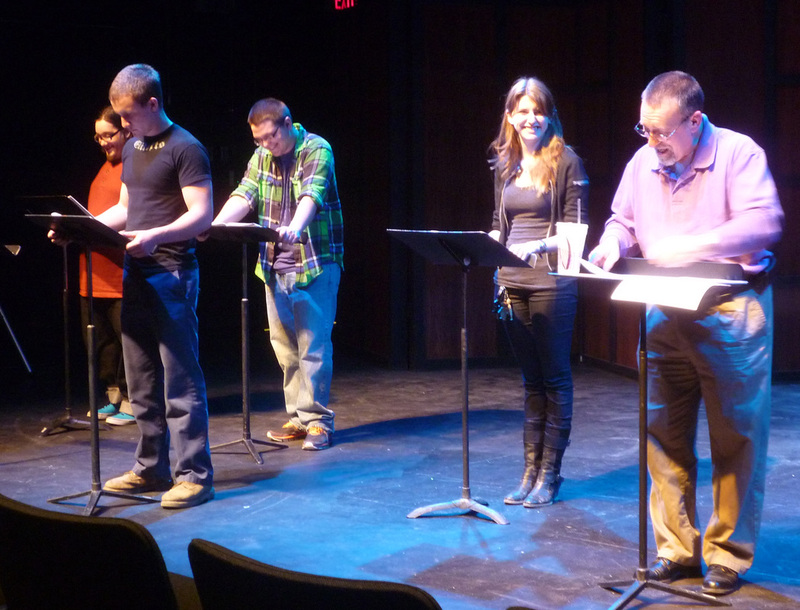 Those who wish can work towards presenting the staged reading for their fellow guests! No lines to memorize since everyone will be holding their scripts. Whether you are new to theater or have experience, everyone’s creativity will be celebrated as we present a well known story. Activities: Soul Collage, Visual Journaling, Poems Into Performance, Share Your Story. Lectures: Law of Attraction, Orson Welles, Old Time Radio, Children’s Theater. Contact Michael today to bring him on board as an Enrichment Artist or Guest Speaker!